Four months ago, I secured my first set of funds to launch Symbolia Magazine, thanks to generous support from J-Lab and the McCormick Foundation. Shortly after that, the International Women’s Media Foundation chose to fund Symbolia as well. As of this week, I’m pleased to report that we’ve read rough drafts of all stories for this issue, and are moving into the interactive design and layout stage of the process. I thought I’d share some of the foundation-building work we did to make sure issue production runs as smoothly as possible. 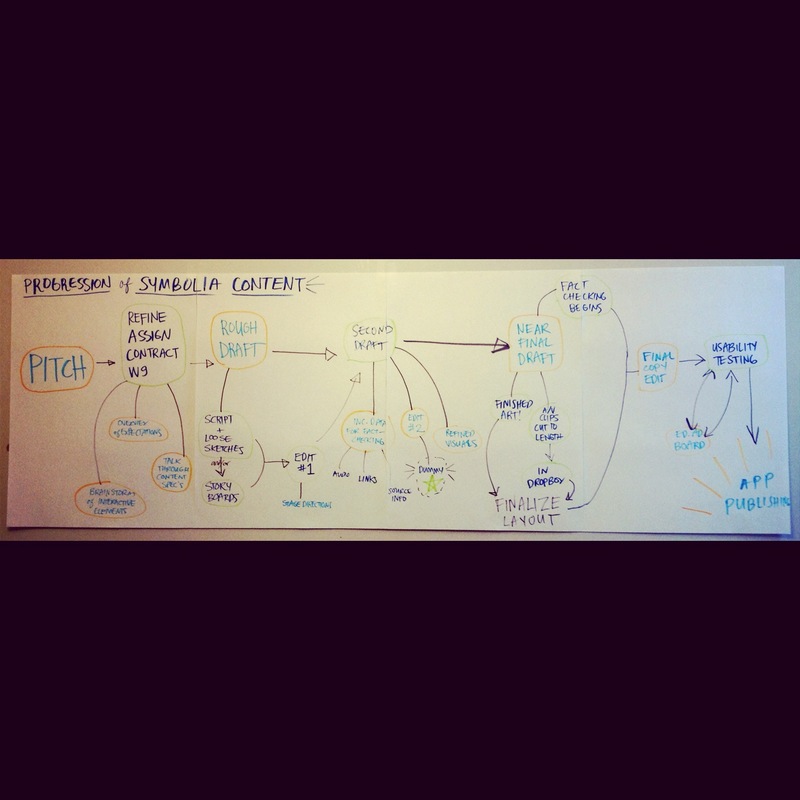 We put together the following flow chart to visualize how we wanted to move content from pitch to production. There are a few tiny steps missing, but you can get a solid sense for how iterative this process is. We’re essentially repeating the following steps: Draft, Design, Discuss, Refine. As you can see in the above video, we also wanted to map out how we want the entire issue to read. This mockup, or dummy, is a poster paper road map for the final issue of Symbolia. Neat post! 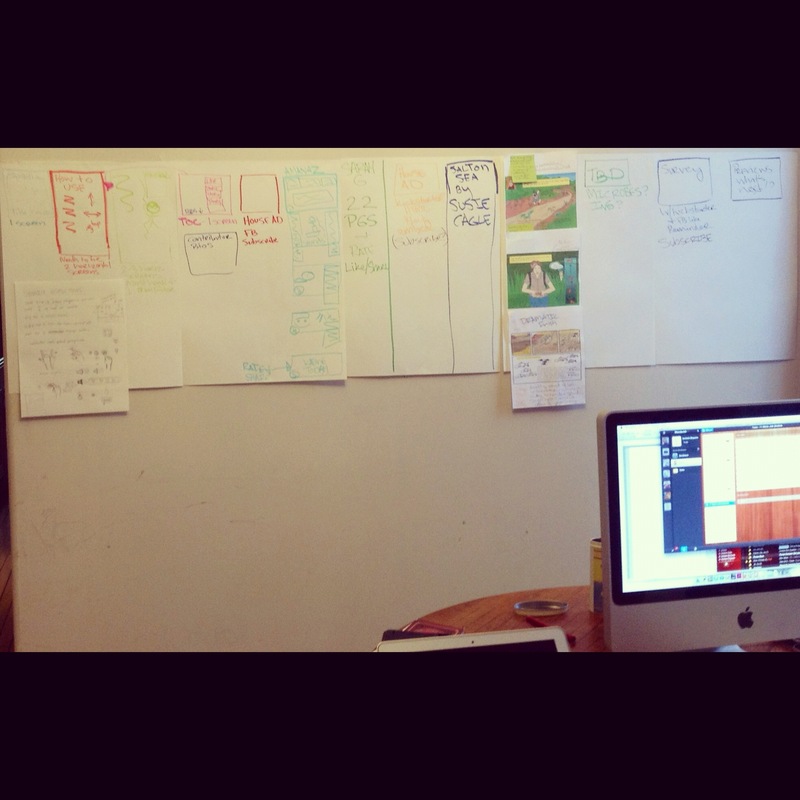 I love seeing people share their workflows.